Woody has been living and working in Tanzania for 12 years and during that time has travelled to every corner of the country. 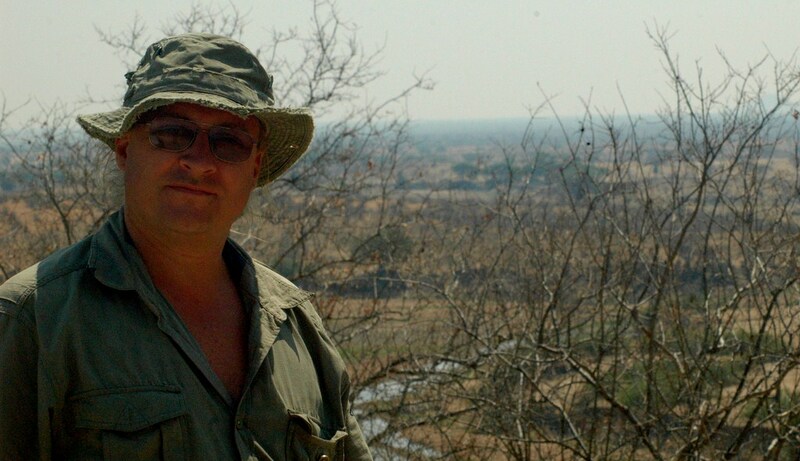 In his role as Director of Wild Thing Safaris, he has slept out under the stars at Lake Tagalala in the Selous Game Reserve, fished the Kilombero River, motorbiked across the remote Katavi Plateau, sailed by dhow along the Swahili Coast down to Kilwa, climbed Mount Kilimanjaro five times, paddled a dug out canoe up the Great Ruaha River, trekked up the active volcano Oldoinyo Lengai, and been scuba diving off the coasts of Unguja, Mafia and Pemba islands. There are few places in the country he has not personally visited and, he exclaims with delight, even fewer experiences he would not happily repeat. Now settled in Dar es Salaam with his wife and daughter, he relishes the chance to help with truly exciting expeditions and get back out into the back of beyond where, as he puts it, “all the good stuff happens”. A computer programmer and code-writer in his spare time, he is also an expert “fundi” or mechanic, able to coax a few more hours out of a struggling generator or tweak a Landrover engine back into sputtering life, connect up inverters and solar panels and plumb in bathrooms and kitchens. All these skills have been fine-tuned over years of running ecolodges and safaris across Tanzania and are very useful when planning and executing expeditions in remote areas. 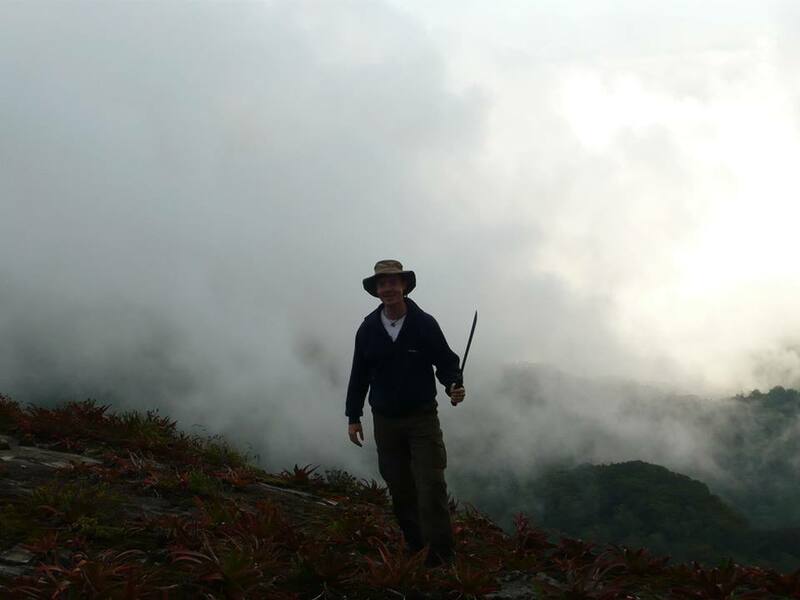 An ex UK school teacher and experienced field ecologist, Roy Hinde has been in Tanzania since 2000 and has built up an extensive background in the fine art of running trips to the back of beyond. His early days in-country began with his role as a team leader and forest ecologist, hacking through the remote jungles of Tanzania’s Eastern Arc to lay transects while taking care of groups of enthusiastic but inexperienced volunteers, and it was these experiences of the remote and beautiful backwaters of the country that led him to found Wild Things Safaris alongside his partner and wife Zoe. During the last 14 years Roy and Zoe have travelled to nearly every corner of the country, gaining unparalleled expertise and developing an invaluable personal network of local friends and colleagues able to jump to their assistance without any notice. Roy’s educational and field experience combine to provide a unique perspective on planning and undertaking expeditions in Tanzania, enabling him to anticipate the needs of almost any group and prepare for most eventualities which would be unforeseen by others less experienced than himself. His constant enthusiasm for Tanzania and its people and his unswerving dedication to making things happen has stood him and all his clients in good stead. Now based in Dar es Salaam with Zoe and his two children, he looks forward to helping with expeditions out into the furthest corners of the country and prides himself on his repertoire of unremittingly satisfied customers.